While at the grocery store, I zeroed in on an heirloom tomato display. I knew I wanted to purchase one, but wasn’t sure what I wanted to make. 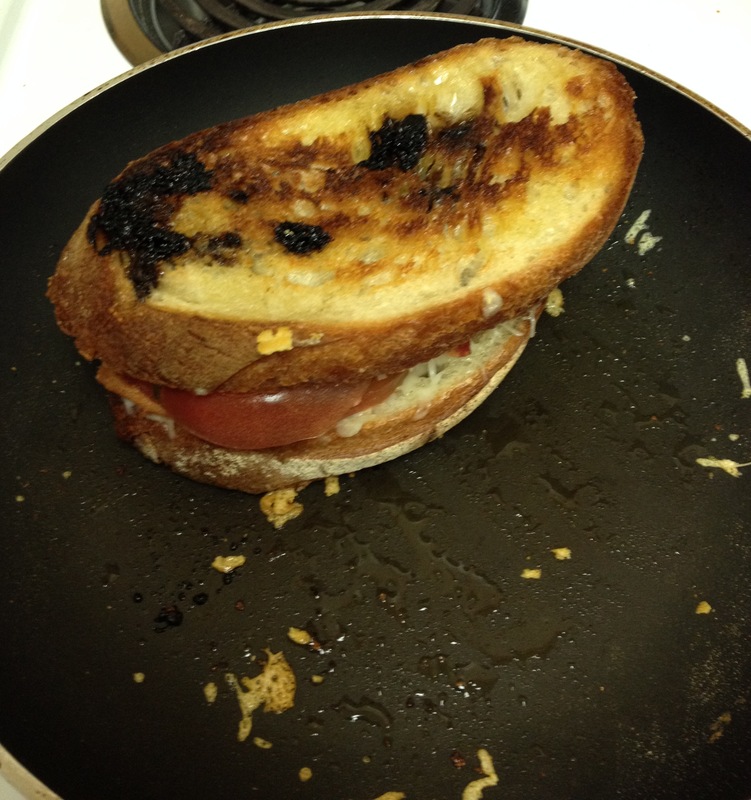 I thought about my favorite ingredients – bread, cheese, tomatoes – and decided to make my version of a BLT…minus the “L”. 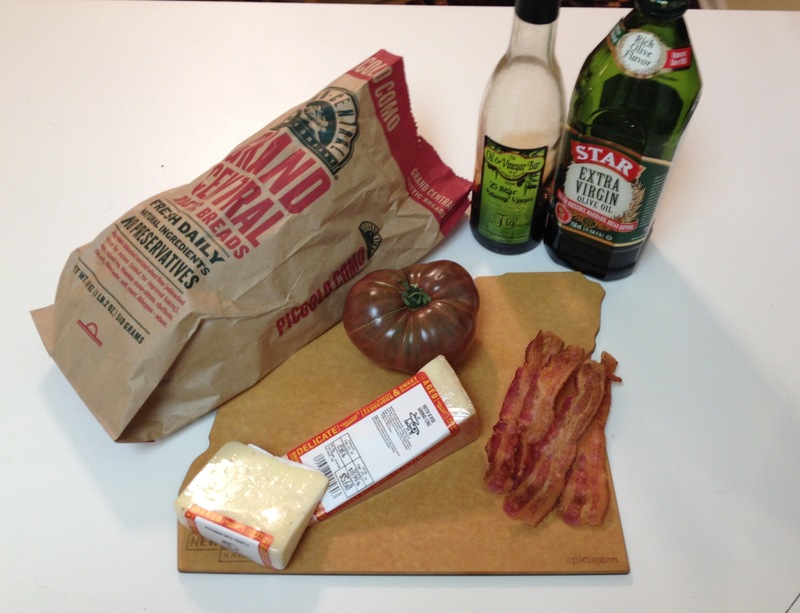 Grabbing a loaf of artisan piccolo bread, 2 different cheeses, and bacon, I headed home to cook. 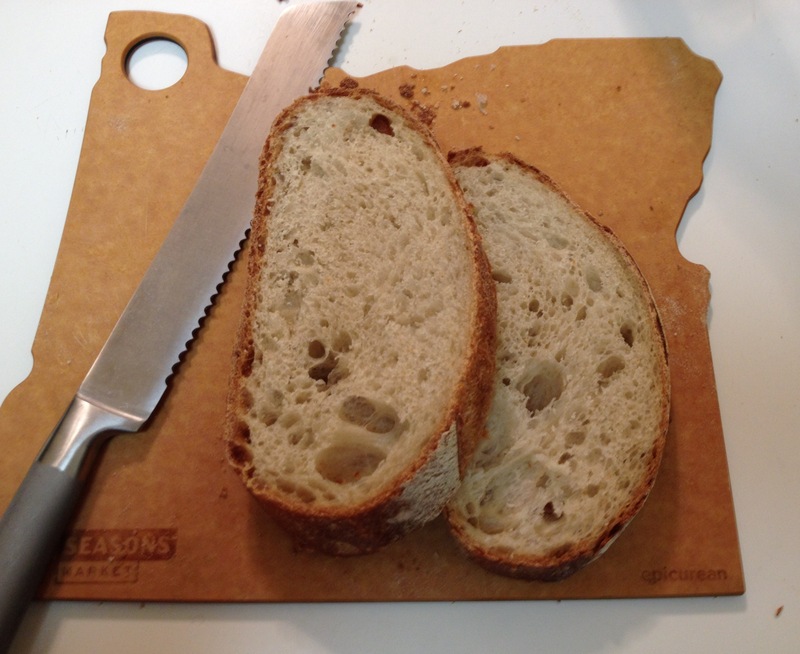 I sliced the bread into hearty slices and drizzled with olive oil. 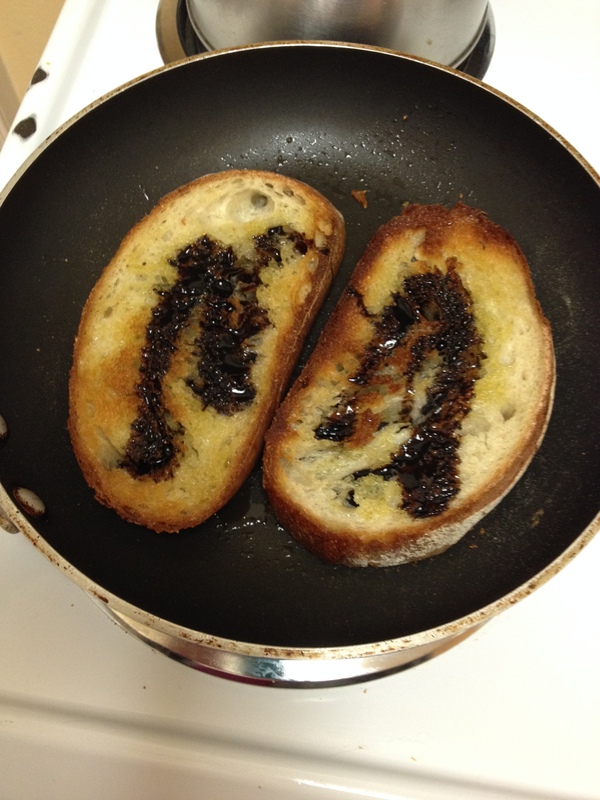 I pan seared them and then added some fig balsamic. Next step- cheese! I shredded the main cheese called Ruth Kase Grand Cru (which is a cow’s milk cheese made in Wisconsin and melts wonderfully). 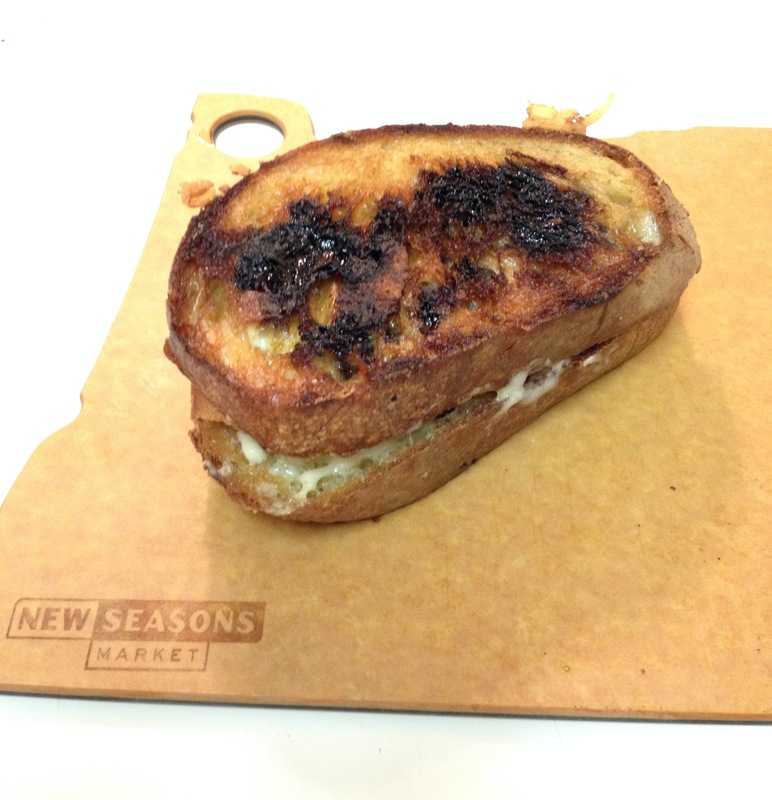 On top, I shredded some pecorino with truffle to add a little flavor twist. 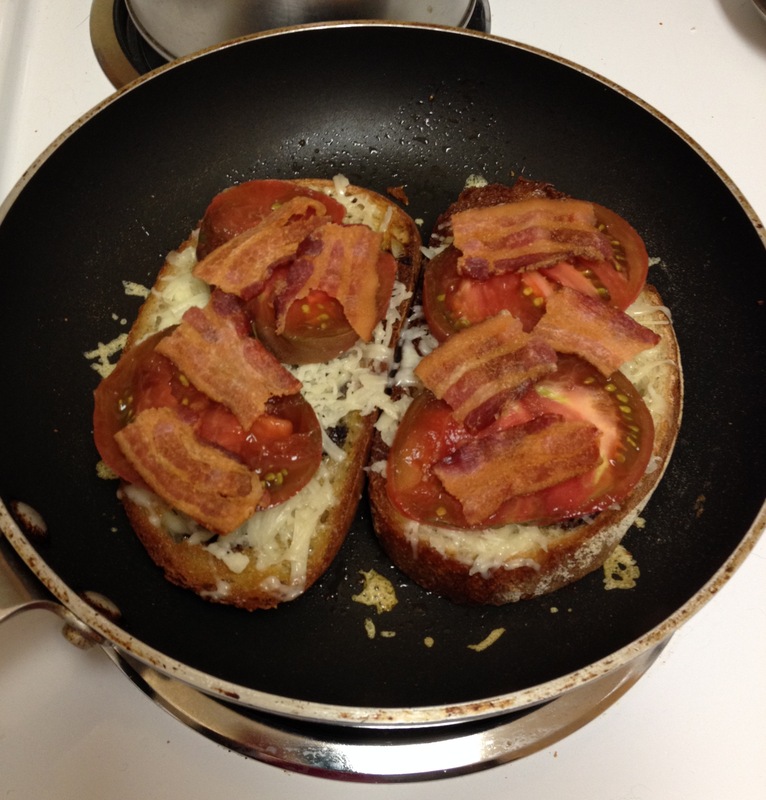 Both cheeses topped the bread, followed by the heirloom tomato slices and bacon. 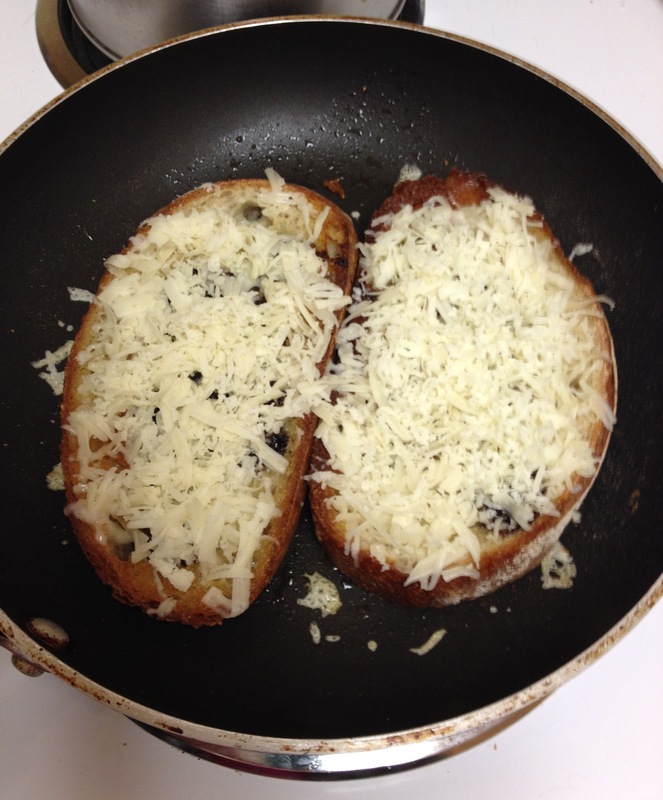 I added a little cheese in between the layers to help “glue” the sandwich together and cooked in the pan until fully heated through. 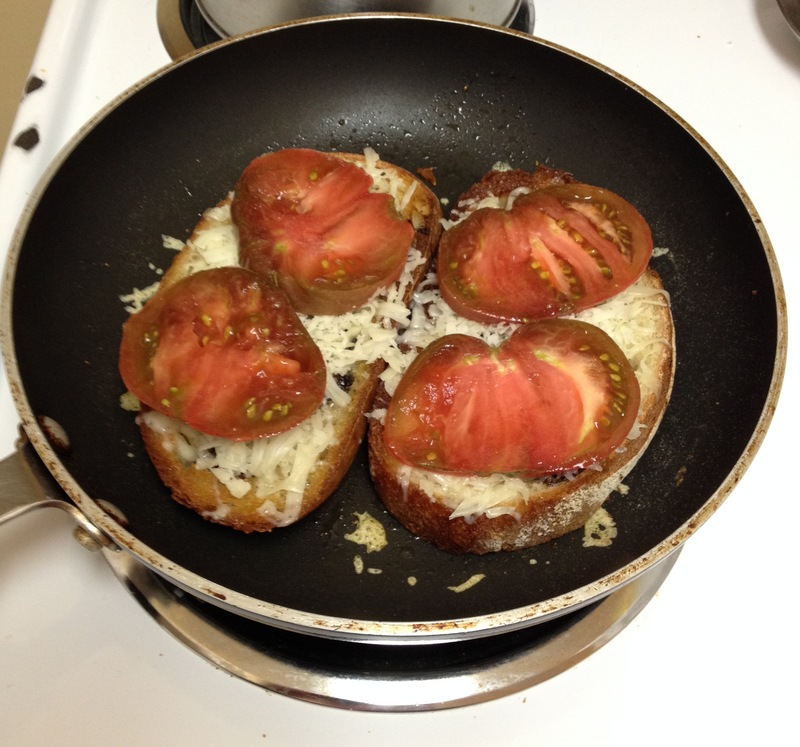 That little tomato inspired a delicious sandwich! 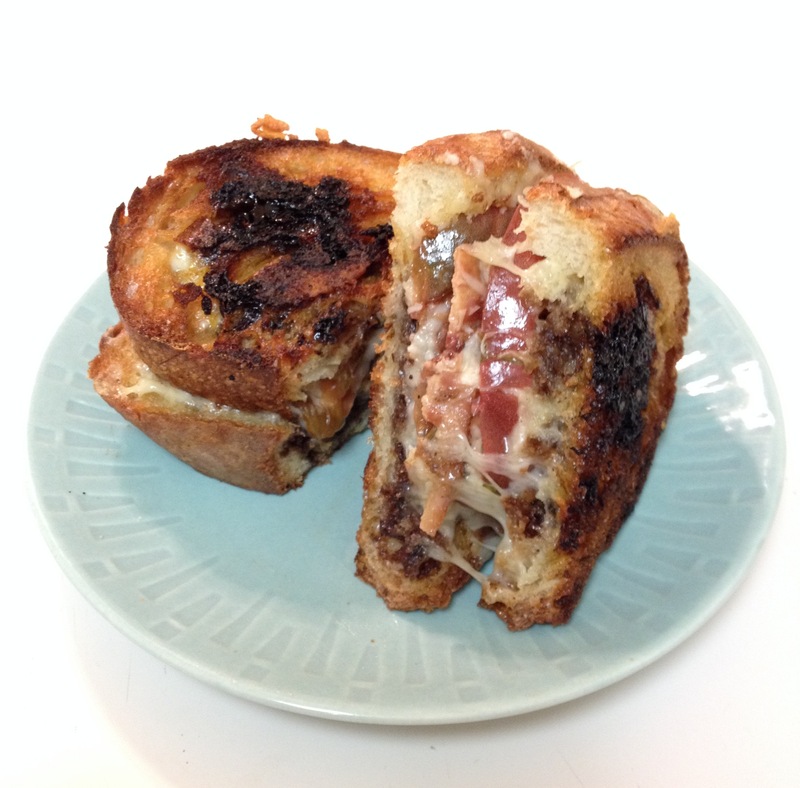 Posted in Culinary Explorations and tagged bacon, cheese, cooking, Culinary Explorations, grilled cheese, heirloom tomato, recipe, sandwich. Bookmark the permalink.